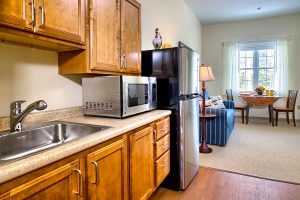 The Village offers independent and assisted living (senior apartments) that range in size from small studio spaces (348 sq. ft.) up to two-bedroom/two bathroom apartments (768 sq. ft.). Residents can choose from our original senior apartment spaces in The Village, South or our newer apartments in The Village, North. Includes help with daily medications. Daily AM and PM set-up, supervision, and toileting. Physical Assistance with up to two showers/whirlpools weekly. Administration of medication and monitoring of weight and vital signs. Physical Assistance of one Resident Assistant with AM and PM care and toileting. Contact guard with personal assistance with walking and transfers. Physical Assistance of one Resident Assistant with AM and PM care. Physical Assistance with up to three showers/whirlpools weekly. Personal care for bladder incontinence and a regular toileting program. Contact us to find out which tier of care makes the most sense for you or your loved one here in Windsor, VT. 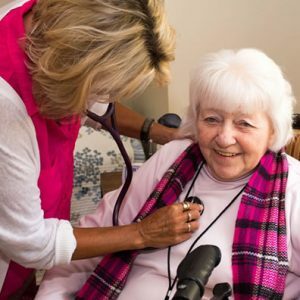 The Judith Brogren Memory Care Center is a fully-staffed, state-of-the-art Vermont Alzheimer’s care facility built in 2015 to provide secure, specialized memory care services for people with Alzheimer’s and related Dementias. In this assisted living center, residents can choose from semi-private rooms with a half bathroom (sharing 431 sq. ft. unit) or private one-bedroom apartments with full bath/shower (414 sq. ft.). 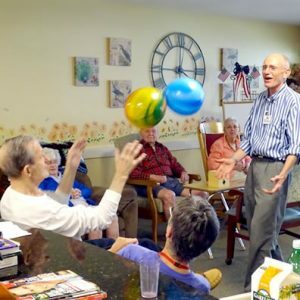 Regular tiers of care are included in the monthly rent in the Memory Care Center; however additional care may become necessary should the resident’s behavior become a danger to his/herself or to others. Contact us to find out more about our Judith Brogren Memory Care Center. 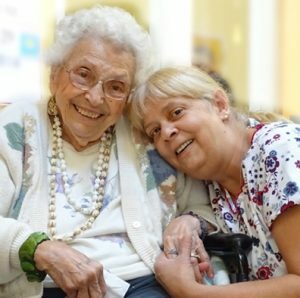 Cedar Hill Health Care offers traditional 24-hour nursing home care to seniors who need short-stay rehabilitation, long-term permanent care, or ongoing nursing care during recovery. Contact us to find out what is included in our daily fees at Cedar Hill Health Care. Not sure which Cedar Hill accommodations are appropriate for you or your loved one? We can help you. Fill out the form to get in touch and we will get back to you right away. For more information, please fill out the form below and our admissions specialist will contact you.